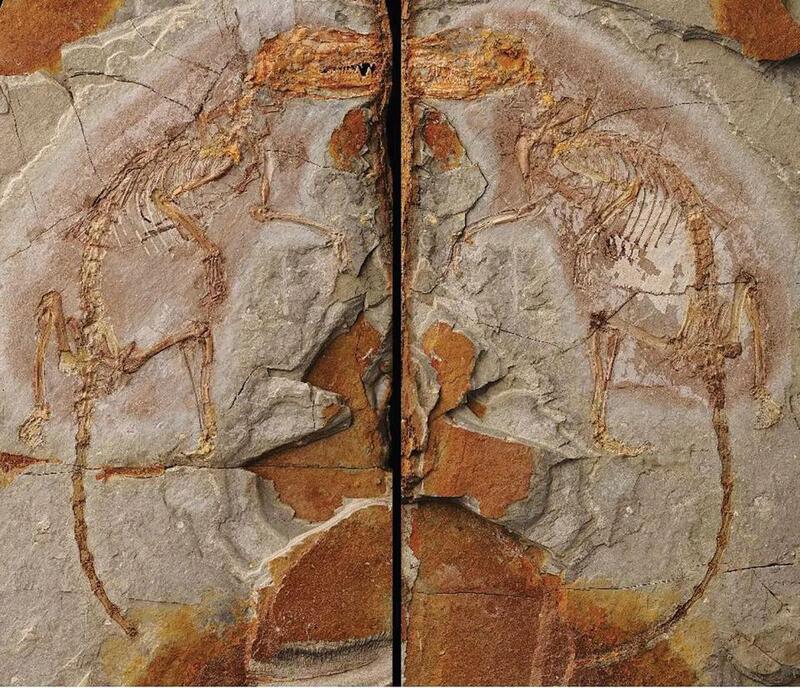 Thanks to a newly discovered mammalian fossil which has been named Ambolestes zhoui, Chinese scientists concluded that the Sinodelphys szalay – the oldest marsupial fossil found – which was discovered in North China in 2003, should actually be classified in the placental class of creatures, the same taxonomy as Ambolestes zhoui, an ancient furry creature that is similar to a tree shrew. The conclusion was published in Nature on June 14. Scientists found a fossil of an early Cretaceous period (145m-66m BCE) mammal in the Inner Mongolia Autonomous Region and digitally restored its skeleton, which was found to have both features of marsupials and placental animals. Based on the skeleton and previous discoveries, scientists outlined a big data matrix for 56 ancient mammal classes, concluding that Sinodelphys are not marsupials, whose descendents include animals such as the kangaroo. The discovery is helping scientists refine the period when mammals divided into the two groups. It also means that it is possible that marsupials did not originate in North Asia as was believed.